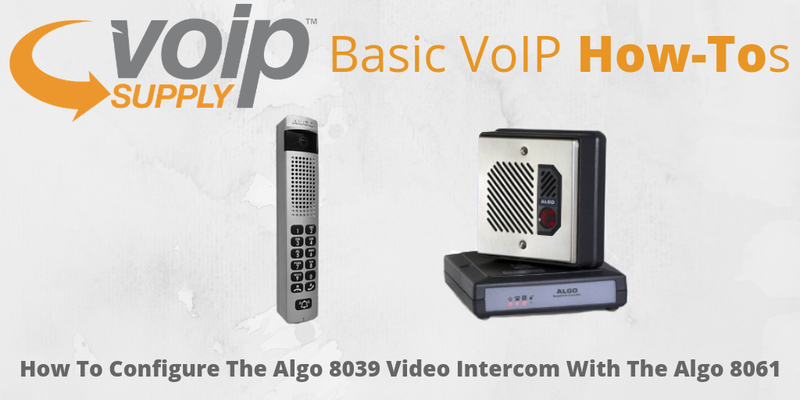 Algo’s 8039 video intercom attracts many businesses who are looking for a flexible and reliable intercom solution that can be easily configured in several different ways to meet their requirements. The Algo 8061 is a PoE interface module providing SIP interface control specifically for the Algo 8036, 8039, and 8201. Today, we are going to show you how easy it is to configure the Algo 8039 with the Algo 8061 relay controller. Let’s get to it! Find the IP address of your Algo 8061 – You can find it by using the locator tool from Algo’s website. This tool displays all of the Algo devices available on the network, and their corresponding IP addresses. Point your browser to the IP address. The 8061 Control Panel will be displayed. Set a password: Go to the Config page and set a password in the Door Control Password field in the Features section. You will need this password when configuring the 8039 with the device. The 8039 can be configured from the web interface. Find IP address of your Algo 8039: Press the blue call button to hear the IP address over the speaker. 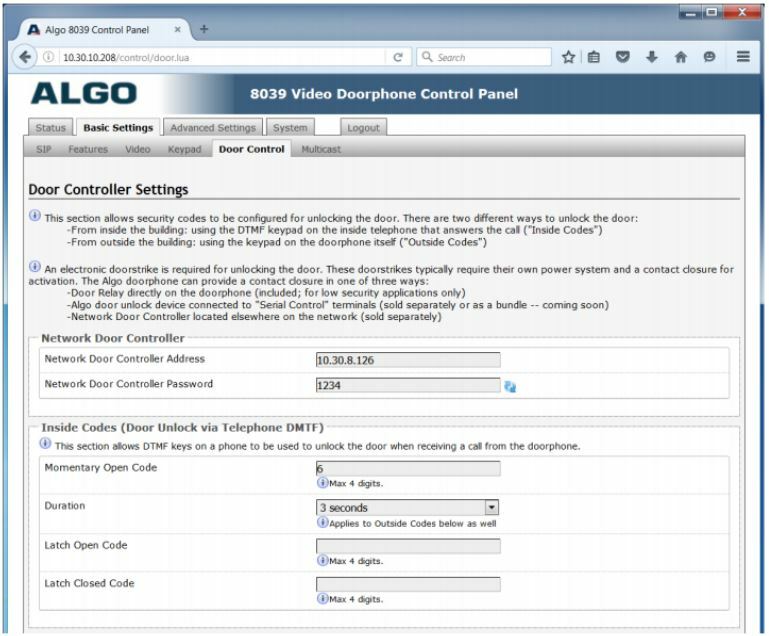 Have you successfully configured your 8039 video intercom with the 8061 relay controller? Share your experience with us!